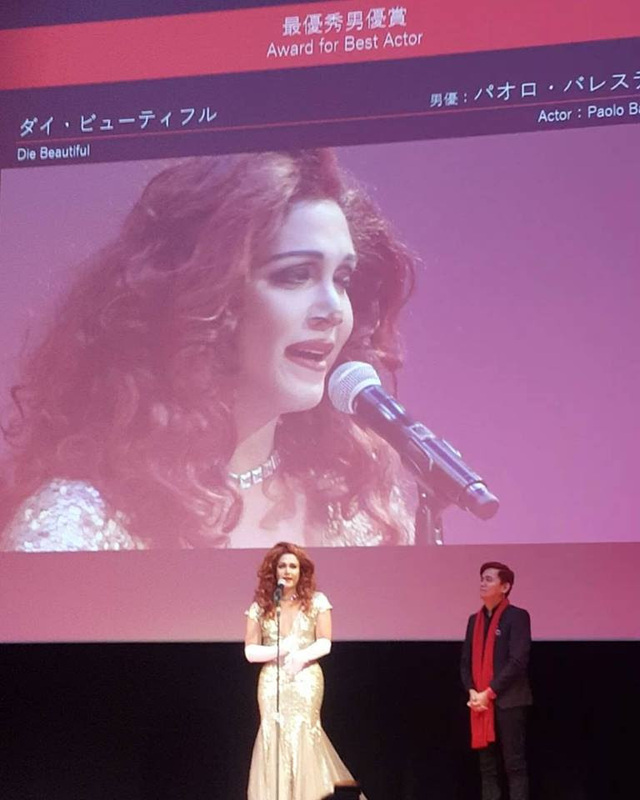 CONGRATULATIONS to Paolo Ballesteros for winning as best actor in the 2016 Tokyo International Filmfest for the movie “Die Beautiful”, a film funded by the Hongkong-Asia Financing Forum, written and directed by Jun Lana and produced by Perci Intalan’s Ideafirst Company, Lana’s October Train Films and Antonio P. Tuviera’s APT Entertainment. Paolo plays Trisha, a transgender who’s dying wish is to be dressed as Lady Gaga after she died. She belongs to a conservative Chinese family and they refuse to give in to her “huling habilin” but her well-meaning drag queen friends fought for what she wanted for her funeral. Also starring in the movie are Diana Zubiri, Iza Calzado and Inah de Belen. It is a possible entry in the coming Metro Manila Filmfest.